Microsoft may be comfortable with Windows Phone and Android splitting time on a single phone, but when it comes to PCs, fuhgeddaboutit. Google also isn't too thrilled with the idea of Frankenstein Android-Windows computers, and at least one PC maker may have to dump the hybrid devices from their lineup as a result. Asus, makers of the Transformer AiO P1801 and P1802, is reportedly being forced to put the kibosh on its year-old all-in-one-slash-tablet PCs. What's more, the anticipated Transformer Book Duet TD300 shown off at CES in January is also headed for the scrap heap, according to The Wall Street Journal. These devices run Windows when they're in PC mode. Slide out the AIO's screen or flip the laptop into a tablet, however, and boom! You've got an Android slate. The concept is theoretically appealing to users since you get the best of both worlds in one device, but Microsoft and Google apparently weren't pleased. Google's opposition is a little more curious. The Journal's report suggests Google simply didn't want Android sharing space with another OS. But as far as we know, Google never objected to Canonical's concept for a hybrid Android-Ubuntu phone, and Huawei plans on bringing an Android-Windows Phone hybrid device to the U.S. in the coming months. PCs are different, however, and perhaps Google simply didn't like the idea of Android playing a complementary role to Windows on a PC. Google can't stop a company from using the open source version of Android in its devices. But the search giant can clamp down on any company that wants to access Google's online services on Android. Those apps and services—such as Gmail, Maps, and Google Play itself—aren't part of the open source version of Android and require striking a business deal with Google before they're pre-loaded on a device. The reported objections from Google and Microsoft are a little late to the game. The Asus P1801 and P1802 were introduced more than a year ago, and Samsung announced another Android-Windows PC, the Ativ Q, in 2013 (though it has yet to ship). However, chipmakers AMD and Intel are both backing the dual-OS concept as a way to get their processors into more and more devices, and hybrid devices were a noticeable trend at this year's CES and Mobile World Conference shows. 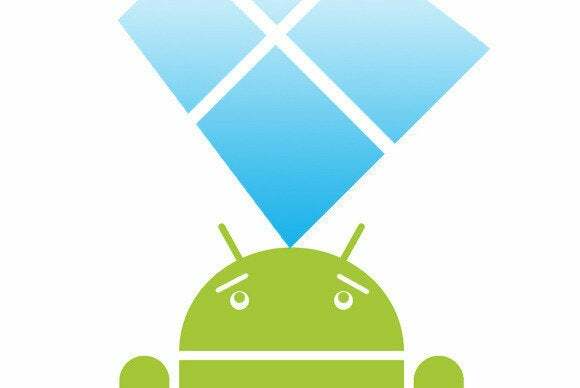 Even with all the attention, a truly compelling Windows-Android hybrid has yet to appear. The Asus Transformer AiO is a Windows all-in-one that could be lugged around and used as a ginormous Android tablet. Asus' dual OS all-in-ones weren't entirely practical. 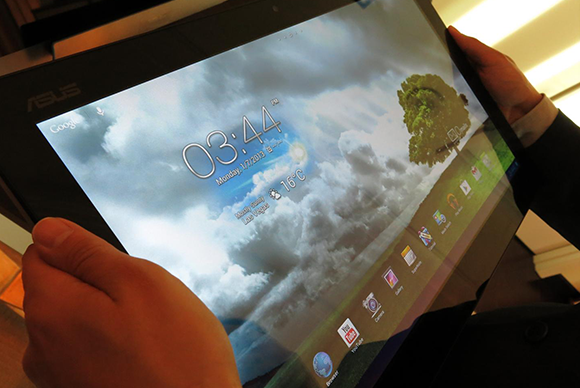 In tablet mode the device's 5.73-pound, 18-inch screen meant it wasn't a tablet you'd want to throw in your backpack. The plus $1,000 starting price tag didn't help much either. 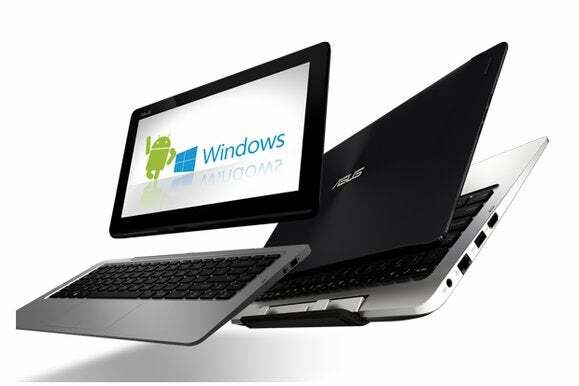 The Asus Transformer Book Trio, another Android-Windows hybrid introduced in 2013, was a low-powered Atom device that would only appeal to a select group of users. The lightweight Duet TD300, however, would have had much broader appeal thanks to its Intel Core processor, 4GB RAM, and up to 1TB of onboard storage—but according to the Journal we'll never find out just how appealing the TD300 would have been. Updated on March 16 with a cmoment from Microsoft.